In a step-change development of its tactical weapons portfolio, Rafael Advanced Defence Systems is introducing a new, fully network-enabled capability to its family of Spike multipurpose missile systems. Designed to be fired from ground launchers, vehicles, ships and helicopters, the new Spike LR II is an evolution of the legacy fourth-generation Spike LR multipurpose missile (now designated Spike LR I), and features reduced weight, a significant range increment, enhanced lethality, advanced target recognition and tracking, and a new third-party target allocation (networked-enabled) enhancement with an embedded inertial measurement unit (IMU) assembly. Developed in response to operational feedback from the 26-strong Spike User Community, the emergence of new, more challenging targets in the contemporary battlefield, and from knowledge accrued in the development of earlier Spike systems, Spike LR II retains full commonality with the legacy Spike family, and can be fired from any Spike launcher. Israelâ€™s missile pioneer Rafael Advanced Defense Systems unveiled today the latest member of its Spike multi-purpose missile family â€“ Spike LR II. Defined as the first â€œ5th generationâ€�, the multi-purpose missile is a variant of the Spike Family, designed to defeat the toughest targets in the battlefield, modern main battle tanks, fast vehicles or bunkers. Currently, the new weapon is in full-scale development; it is scheduled to be operational by the end of 2018. Weighing 12.7 kg â€“ 10% less than the legacy LR, Spike LR II provides major enhancements over the current LR variant -in lethality, range, and resolution. First and foremost, the new version enhances the Spikeâ€™s capability to defeat targets of all types â€“ from main battle tanks with advanced, reactive and active protection, to fortified and evasive targets and those hidden in bunkers, buildings. To handle such a wide range of targets RAFAEL offers the missile with a choice of two warheads â€“ an anti-tank missile optimized with an enhanced tandem warhead that increases armor penetration by 30 percent over the previous generation. Another advantage of the new missile is its ability to strike at higher impact angles â€“ Spike LR II will be able to hit targets at up to 70 degrees, delivering more lethal top attack profile. According to RAFAEL, the SPIKE LR II is the only missiles known to have an inherent Counter-APS (CAPS) capability. The second type is the multi-purpose version, provided with a different tandem warhead using multiple fusing presets designed to defeat light or fortified targets. The variable fusing enables the operator to set the fuse to penetrate a target or explode on impact.Â Designed to operate as a penetrating warhead, the missileâ€™s warhead would breach a small hole through reinforced concrete, for the main charge to follow through. The missile maintains the fiber-optic data link for man-in-the-loop control but the new missile can defeat those targets from an extended range of up to 5,500 meters. When launched from helicopters, it uses may opt to use a new HD datalink that almost doubles the missileâ€™s range to 10 km. RAFAEL has designed a lightweight launcher that carries two missiles, that, fully armed weighs less than a single Hellfire missile. 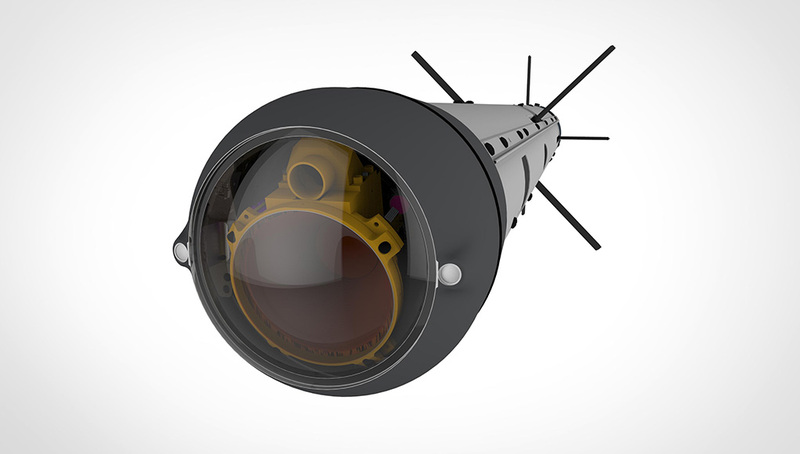 The missile Spike LR II introduces a new, passive and uncooled multi-band seeker that integrates both thermal and High Definition (HD) color imagery, increasing the weaponâ€™s target acquisition and tracking efficiency even against complex and evasive targets. The new seeker includes capabilities of a smart target tracker with AI features (Artificial Intelligence). Those software-based AI functions enable the seeker to maintain target lock even in situations that auto trackers generally fail â€“ target disappearing behind obstacles, or against a low-contrast background, where third generation (fire and forget) missiles would fail, and fourth generation missiles would need operator assistance. The new Spike LR II can overcome such challenges and track its target automatically. Moreover, as a software defined feature those seeker functions can be changed and upgraded, enabling designers to implement innovative techniques against new enemy counter-countermeasures. Designed for use against elusiveÂ targets with low signature, time-sensitive characteristics, SPIKE LR II has an embedded IMU (Inertial Measurement Unit) for missions supporting third party target acquisition, allowing the firing of the missile to grid target coordinates. These functions are particularly useful in â€˜blind launchâ€™, engaging â€˜disappearing targetsâ€™ even when the launching platform do not have visual identification of the target. Rafael has supplied over 27,000 SPIKE Missiles and systems to over 26 countries, many of them operate the MR and LR variants. Spike-LR II is designed to be compatible with all legacy launchers, enabling all users to enhance their operational capabilities every time they replenish their missile stocks. 'rah 'rah it worked..........eventually...........another Indian system running a few years late...............its max range of 4kms..........good 5-10 years ago, now very passe as most systems are hitting 10kms.................and the long-suffering Indian Army is still looking for Overseas systems! India's state-owned Defence Research and Development Organisation (DRDO) has successfully flight-tested the indigenously developed Nag (Snake) anti-tank guided missile (ATGM). The third-generation fire-and-forget ATGM was test-fired on 13 June in the desert ranges of the northern state of Rajasthan, the Indian government's Press Information Bureau (PIB) said in a statement issued that same day. The weapon, which is equipped with advanced technologies including an imaging infrared (IIR) seeker, successfully destroyed the designated target, said the PIB. The missile is part of the Nag anti-tank guided weapon (ATGW) system, which has been under development over an extended period of time by Bharat Dynamics and the Defence Research and Development Laboratory (DRDL), which is part of the DRDO, to meet the operational requirements of the Indian Army for both a vehicle- and air-launched anti-tank weapon system with a maximum range of at least 4,000 m.
LONDONÂ â€”Â Switzerland has become the latest customer for the Anglo-Swedish developed next generation light anti-tank weapon in a deal announced by Saab on Wednesday. The deal, valued at 1.035 billion krona (U.S. $120 million), will see the weapon and associated training gear delivered between 2018 and 2021. There is also a wider framework agreement between Saab and armasuisse, the Swiss defense procurement office, allowing further purchases up to 2030. 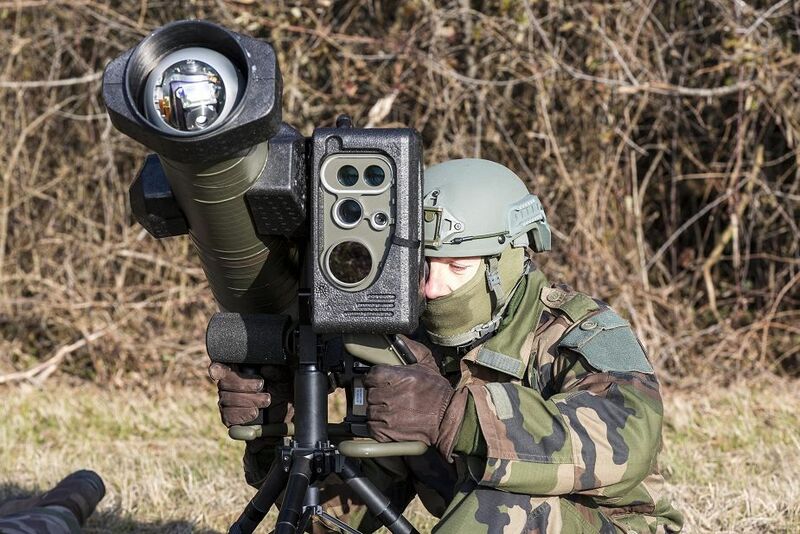 TheÂ next generation light anti-tank weapon, orÂ NLAW, fills a Swiss capability gap caused by the decommissoning without replacement of the Dragon M47 2008.Â For the moment, the Swiss Armed Forces has only the Panzerfaust, which is now about to reach the end of its life. The purchase of the NLAW type of weapon was confirmed in Switzerland's 2016 armament program which mandated the procurement of three types of shoulder-fired multipurpose weapons by the end of 2019. The contract could see Saab opt to move production of the weapon from the current assembly site operated by Thales UK inÂ Northern Ireland, according to the Swedish executive responsible for the program. The shoulder launched weapon was developed by Saab and produced by Thales UK in a joint program to re-equip the British and Swedish armies starting 2009 with a new short-range weapon able to destroy main battle tanks. GÃ¶rgen Johansson, the head of Saabâ€™s Dynamics business area, said though, that no decision had been made on whether the Swiss weapons would be assembled by Thales UKâ€™s factory just outside Belfast,Â Northern Ireland. â€œMy ambition is to continue to have NLAW produced inÂ Northern IrelandÂ but we are looking at other options,â€� he said. The Saab executive declined to discuss other possible sites but said the decision to keep assembly inÂ Northern IrelandÂ would depend on issues like delivery and price. Thales UK confirmed talks aimed at keeping NLAW production at the current site were ongoing. â€œWe are in discussion with Saab over manufacture of NLAW in Belfast and hopeful of securing further manufacture of the weapon in Northern Ireland,â€� said a spokesman. The NLAW assembly line has been mothballed since early 2015 awaiting a new order. The supply chain for the weapon is predominantly British but some systems, including the Saab Bofors Dynamics Switzerland-produced warhead, are sourced from elsewhere. The Swiss order brings the number of announced customers for NLAW to five, including Finland, Luxembourg, Sweden and the U.K.
Indonesia and Saudi Arabia are also touted by some media sources as customers. Russia has delivered at least 12 9K123-1 Khrizantema-S vehicle-mounted anti-tank guided weapon (ATGW) systems to Azerbaijan and more than 15 systems will be delivered by the end of 2018, Jane's has learned. The Azerbaijani Ministry of Defence reported the arms acquisition on 24 June in an official video. The video shows 9K123-1 Khrizantema-S systems and munitions being offloaded from Russian ships in a Caspian Sea port close to the Azeri capital, Baku. The systems are being delivered under an arms deal worth approximately USD5 billion reached in 2009-10. "The planned delivery of the latest Russian military equipment to Azerbaijan was carried out in accordance with the intergovernmental agreement and within the framework of successfully developing defence industry co-operation between the Republic of Azerbaijan and the Russian Federation," the ministry said. 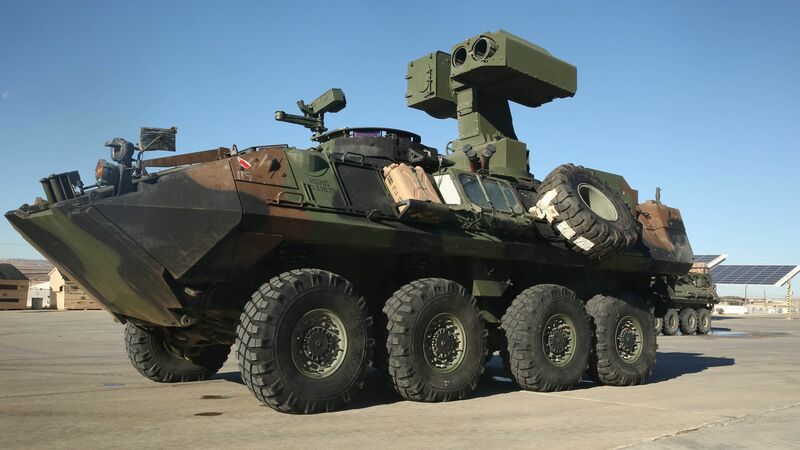 The 9K123-1 Khrizantema-S system, an improved version of the original 9K123 Khrizantema-S, is designed to detect and destroy armoured vehicles, fortifications, low-speed aerial targets, and other military facilities. The original system was first unveiled in July 1996 by the Konstruktorskoye Byuro Mashynostroyenia (KBM) Engineering Design Bureau (JSC), entering service with the Russian Armed Forces starting in 2005. The 9K123-1 system is comprised of the 9P157-2 launching vehicle, the 9P157-3 launching and command vehicle and the 9P157-4 battery command vehicle, which are based on the BMP-3 chassis. The launching vehicles can use a range of missiles, including the 9M123 and improved 9M123-2 anti-armour missiles, along with the 9M123F and improved 9M123F-2 anti-materiel/personnel missiles. All missiles are supersonic and can use either laser or radar beam riding guidance, with the choice depending on battlefield conditions. The first batch of 9K123-1 systems with 10 launch vehicles was commissioned in 2014. Serbia's Military Technical Institute (MTI) is developing a new, longer-range variant of the 9M14-2 Malyutka 2T (AT-3D/ 'Sagger') anti-tank guided weapon (ATGW), designated '2T5'. For this variant, '2T' denotes the tandem high-explosive anti-tank (HEAT) warhead, while '5' represents the new maximum range of 5,000 m.
The Malyutka 2T5 is longer and heavier than the earlier-generation Malyutka missiles manufactured in Serbia, and is fitted with a new-generation tandem HEAT warhead that MTI claims will be able to penetrate 1,000 mm of steel armour protected by explosive reactive armour (ERA). The Malyutka 2T5 also features a new two-stage boost/sustain motor and a modified front end. The 2T5 additionally features a semi-automatic command to line-of-sight (SACLOS) guidance system, with commands to the missile from the launcher conducted through a radio frequency channel; earlier Malyutka variants used manual command to line-of-sight (MCLOS) wire guidance. According to the MTI, trial firings of the 2T5 have already been conducted from a static mount, although the development and production phase timeline has not been disclosed. Production of the Malyutka ATGW is undertaken in Serbia by the Krusik Holding Corporation, with export marketing conducted by Yugoimport. Serbia already markets two other Malyutka 2 variants, both of which are qualified and currently in production. These are the 3,000 m-range Malyutka 2T - which is fitted with a tandem HEAT warhead that will penetrate 800 mm of steel armour protected by ERA - and the Malyutka 2F, which is fitted with a thermobaric warhead. 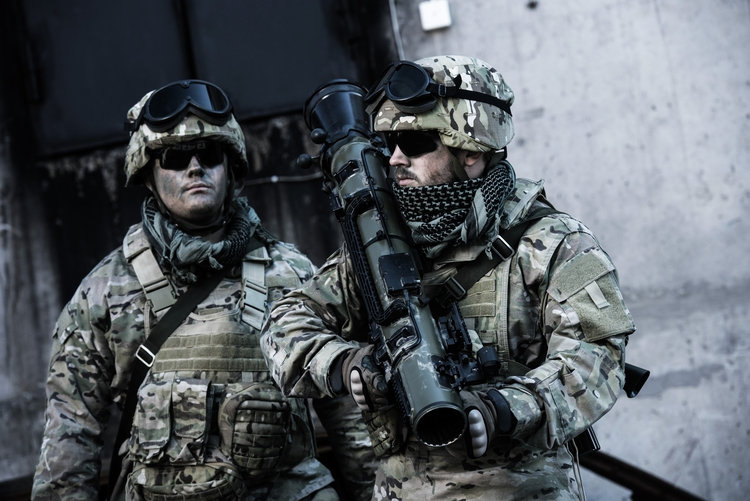 The Slovak armed forces in mid-July received the Carl-Gustaf shoulder-fired recoilless weapons ordered in September 2015, supplier Saab announced on 18 July. Slovakia is the launch customer and the first country to deploy the weapon, which is shorter in length and lighter than the M3 the country already operates. Raytheon and Lockheed Martin have been awarded a $10.1 million contract to modernize the Command Launch Unit for their jointly-developed Javelin anti-tank missile. The modification will apply toward weight reduction, engineering design requirements and analysis for updating the CLU infrared targeting system. The work will be performed in Tucson, Ariz., and is projected to be completed by September 30, 2019.The FGM-148 Javelin is a man-portable anti-tank missile used by the United States and many allied countries. The missile has a "fire-and-forget" infrared guidance system that requires no course corrections from the operator after launch. The Javelin can target moving vehicles, fixed fortifications, troops in the open and low-flying helicopters. It can be used for direct fire or in a pop-up mode that allows it to hit tanks from above to take advantage of their thinner top armor.The missile has a soft-launch capability that limits its back blast, allowing it to be used from fortifications and buildings. It carries a tandem-charge high-explosive anti-tank warhead for defeating hardened targets. With the Polish Army still utilising a sizeable stock of legacy rocket-propelled grenades (RPG-7s) that are diminishing in capability, there is now a search underway to replace the Soviet-era weapon with a more modern alternative to meet the serviceâ€™s anti-tank requirements. One company that believes it has a solution to Polandâ€™s requirement is Norwegian ammunition specialist Nammo, which manufactures the 66mm M72 Lightwight Assault Weapon (LAW). The launcher is a disposable system that can be used against armoured vehicles and structures such as concrete walls. Its proven to be highly popular, particularly with special forces in urban combat zones where collateral damage has to be minimised. The M72 can be loaded with; an anti-structure round that can defeat brick structures, and a heavy-armour, shaped-charge warhead that can defeat 450mm RHA. The 3.4kg weight (anti-armour warhead) and 3.7kg (anti-structure) allows troops to carry multiple launchers and then dispose of them when fired. Nammo has entered into an agreement with state-run PGZ company Dezamet to ensure that their bids meets Polish requirements for technology and manufacturing offsets, with bids already submitted for how that will be implemented. â€˜We have to [have local partnerships] because to get into the Polish market we need have cooperation with a company in Poland,â€™ said Diep. The potential outcome of the requirement could be a mix of anti-tank systems being purchased, ranging from a lightweight solution such as the M72, all the way up to the Spike missile that is already in service with the armed forces. Saab is likely to put forward its AT4 launcher, a 7kg disposable system. Shephard also understands that the Polish Army is assessing the Czech-developed RPG-75 from company Nitro-chem, which could be locally-manufactured in Poland if selected. KIELCE, Poland â€” With a number of Eastern European nations aiming to acquire new infantry fighting vehicles for their land forces, Israelâ€™s Rafael plans to offer its Spike LR guided missile in partnership with vehicle manufacturers. 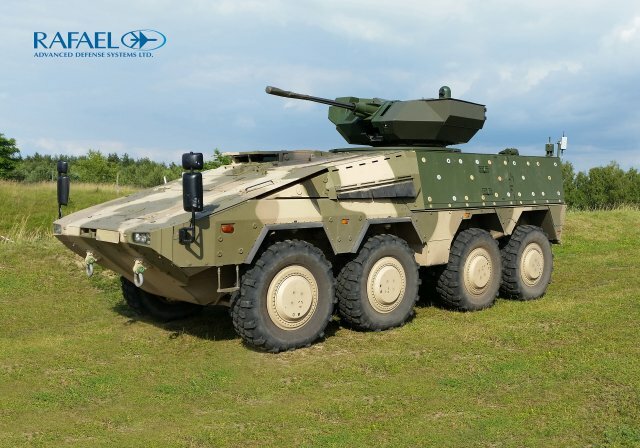 Last year, Lithuania decided to purchase some 88 Boxer armored fighting vehicles from Germanyâ€™s Artec, with Rafael set to equip the vehicles with its Samson Mk II weapon stations fitted with Spike launchers. â€œOur subsidiary EuroSpike is expected to sign a deal with Artec for the supply of Spike missiles by the end of 2017,â€� Yizhar Sahar, a manager at Rafael, told Defense News at the MSPO defense industry show in Kielce, Poland. Meanwhile, the Israeli company is gearing up for a number of infantry fighting vehicle procurements throughout the region, which would allow Eastern European allies to replace their Soviet-designed armored vehicles with Western-made gear. â€œSlovenia is expected to launch a tender for 50 vehicles, and Romania is considering to acquire additional Piranha eight-wheel drive vehicles. Macedonia could also be looking to purchase about 15 vehicles,â€� Sahar said. Russiaâ€™s military intervention in Ukraine and the countryâ€™s subsequent annexation of Ukrainâ€™s Crimean Peninsula in March 2014 have increased defense budgets across the region, pushing a number of Eastern European allies to invest in the capacities of their respective land forces. The M3E1 is actually the new KG M4 if memory serves me right. Gawd knows why they called it M3E1? ABERDEEN PROVING GROUND, Md. --- Used on battlefields around the world since 1991, the M3 Multi-Role Anti-Armor Anti-Personnel Weapon System, or MAAWS, has seen several iterations. The latest version, or M3E1, is not only lighter, but shorter and ergonomically designed with a longer handle and better grips. These features, as well as its ability to use multiple types of rounds for firing, has led the Army to approve a requirement for 1,111 M3E1 units. The M3E1 is part of the Product Manager Crew Served Weapons portfolio, which is processing a contract to procure 1,111 M3E1s and an Urgent Material Release to field them as soon as possible. The U.S. Army FCT program office, which is positioned within U.S. Army Research, Development and Engineering Command, receives oversight from the Office of the Secretary of Defense's Comparative Technology Office. The FCT program provides an avenue for Army engineers, scientists and program managers to test and evaluate items and technologies from allies and other friendly nations that may fill an Army capability gap. The program encourages international cooperation and helps reduce the DOD's overall acquisition costs by providing funds to formally test and evaluate foreign non-developmental items, commercial-off-the-shelf items, or technologies which are in the late state of development that may satisfy U.S. military requirements. 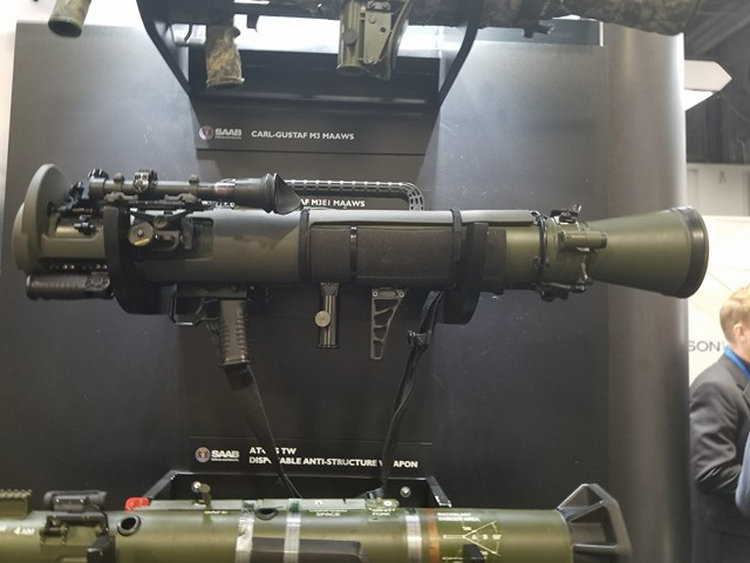 In 1988, U.S. Special Forces identified a need for a shoulder-fired, recoilless rifle to replace the M67, and Saab Dynamics developed the M3, which was a likely candidate to address the need. It was through the FCT program that the first M3s were delivered to U.S. Rangers and U.S. Navy Seals in 1994. Kevin Finch, MAAWS product director, has worked on the M3 program throughout the years, collaborating with Saab Dynamics AB, the Swedish vendor, to perfect their system. According to Soldier feedback, the M3 was too heavy and bulky. By using titanium, the updated M3E1 is more than six pounds lighter. The M3E1 is also 2.5 inches shorter and has an improved carrying handle, extra shoulder padding and an improved sighting system that can be adjusted for better comfort without sacrificing performance. In response to the new requirement, a wiring harness was included in the M3E1 configuration that provides a foregrip controller and programmable fuze setter for an interchangeable fire control system. For added safety and cost savings, an automatic round counter enables Soldiers and logisticians to accurately track the service life of each weapon. The system was tested for gun tube safe service life at IMT Materialteknik AB in Sundsvall, Sweden by the U.S. Army Test & Evaluation Command and other subject matter experts. Testing at the vendor's test facility in Sweden eliminated the need to purchase ammunition and material, and it limited range time in the U.S., saving the Army nearly one million dollars. As a result of this project, the Army received the OSD award for the FCT program. "Our original investment of $3 million has led to an approximate $40 million procurement for the Army, which is a great return on investment. But, most importantly, the M3E1 can be reused so it gives Soldiers increased flexibility and capability on the battlefield," Everett said. 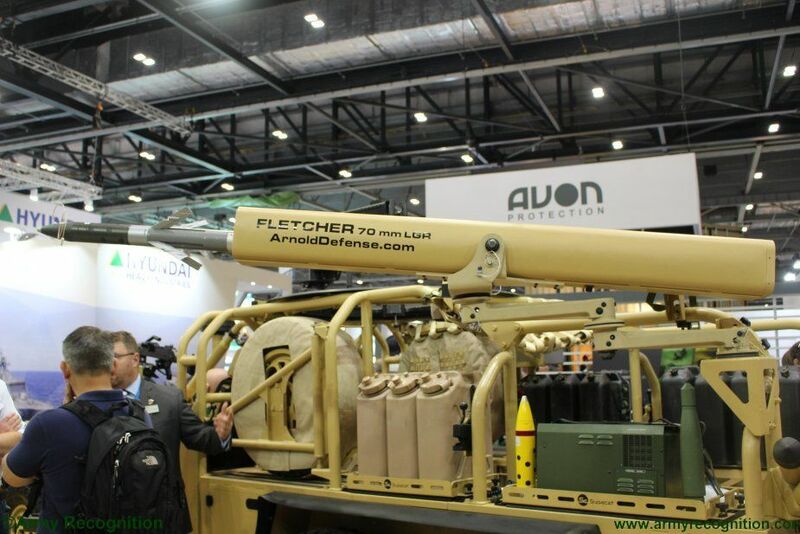 Arnold Defense, a US St Louis based international manufacturer and supplier of 2.75-inch rocket launchers, is unveiling a concept named the â€œFLETCHERâ€� 2.75-inch/70mm Weapon System.FLETCHER can be mounted on land-based military vehicles as well as, potentially, marine and littoral platforms. The debut of the FLETCHER concept coincides with the DSEi Exhibition taking place in London, 12â€”15 September 2017. 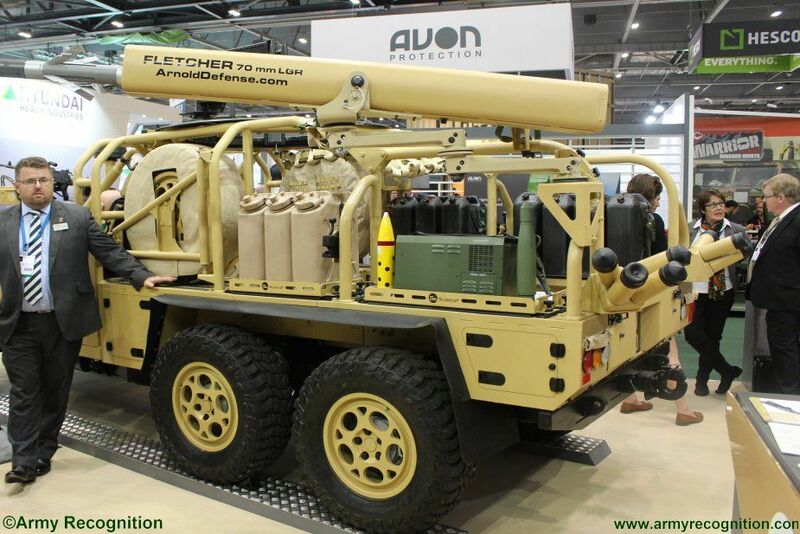 The FLETCHER concept is supported by a team of global defense industry companies working together under Arnoldâ€™s leadership tocombine their complimentary expertise.The full team composition has yet to be announcedhowever, at this stage, Arnold are able to confirm the involvement of Military Systems Group, Nammo and Supacat. Working together, theteam is able to provide a full-system approach to FLETCHER ranging from design and integration through testing, validation and manufacture into ammunition and through-life support. Traditionally, 2.75-inch rocket systems have been used as an area suppression weapon, ordinarily deployed by aviation assets.The team has turned this concept on its head with the advancement of guided rocket technology to meet the modern demands of land-based, vehicle mounted and dismounted asymmetric warfare, for special andconventional forces. FLETCHER is a unique design that allows for ease of operation, maintenance and sustainment in support of combat operations. FLETCHERemploys an existing suite of guidance modules, motors and warheads which are already used in well-known programs and are readily available to global forces.Working in-concert with world-class designation equipment, FLETCHER is a fully integrated weapon system that can engage targets at ranges up to 6.5km giving land forces capability that previously required the deployment of air assets. Currently in the concept phase of development, a demonstrator fit of FLETCHERcan be seen on the Supacat stand at DSEi (N9-360)mounted to the Supacat LRV 600, a lightweight special forces platform. Arnold staff will be on hand to explain the system to visitors and specific briefings can be facilitated, by appointment. Jim Hager, President and CEO of Arnold Defense said â€œFLETCHER is an exciting new development for Arnold Defense and our team partners. Weâ€™re already exceedingly well established in the air environment with our rocket systems being used on air platforms globally. Moving that success into the land environment with our 2.75-inch rocket systems fitted to wheeled and tracked vehicles, as well as in a dismounted role, will provide ground forces with an entirely new capabilityâ€�. He added: â€œthere is further development work required but if all goes well, weâ€™re expecting to have the system ready for sale towards the end of 2018â€�. LONDON â€” Saabâ€™s Carl-Gustaf M4 is the latest version in a series of shoulder-fired launchers in production since shortly after World War II and the Army wants to buy over 1,000 of the systems. The Army announced earlier this month that it planned to rapidly procure and field the latest variant as soon as possible and was processing the contract for 1,111 of the weapon system. Compared to previous versions of the launcher, which the U.S. Army has had in its inventory since the early 1990s, the new system is shorter, lighter and has handles designed to be adjusted based on the shooterâ€™s height and build, which makes for a more comfortable fit, Petter Grabbe, a technical sales representative at Saab, told Defense News at DSEI, a defense conference in London. Moreover, the latest variant of Carl-Gustaf, which weighs roughly 15 lbs and is made from titanium, is reusable, he added. The U.S. Armyâ€™s current system has to be thrown away after a single shot is fired, according to the service. The system can also accommodate roughly 10 types of ammunition to suit different types of missions, according to Saab. Among the weapon systemâ€™s capabilities are taking out enemy tanks, eliminating obstacles and providing fire support, Grabbe noted. The recoilless system is also safe to fire inside a building. Dynamit Nobel Defence and Hensoldt have delivered the RGW 90 Long Range Multi-Purpose (LRMP) weapon and a specially developed Hensoldt fire control sight to the German Special Forces Command, it was announced on 29 September. The removable fire control sight acquires the data on the surroundings, the target and internal ballistic information. The 5.5-fold enlargement and the laser range finder enable the marksman to determine the distance to the target and select the ignition mode. The integrated ballistic computer calculates the elevation and lead angle using the target data. The electronic target mark is then displayed automatically on the micro-display. The RGW 90 LRMP with its fire control sight will be used by the Special Forces Command and the Naval Special Forces. Polandâ€™s Armament Inspectorate has initiated a technical dialogue for a short-range anti-tank guided missile (ATGM) system, labelled â€˜Pustelnikâ€™. Poland is seeking information about lightweight shoulder-fired ATGM systems with a range of 1,400 m. The technical dialogue will be conducted from 20 November 2017 to 15 January 2018. The acquisition of a new weapon is intended to fill the gap in anti-tank defence capabilities between disposable and multi-use grenade launchers with a 300â€“600 m range, and longer-range anti-tank systems. 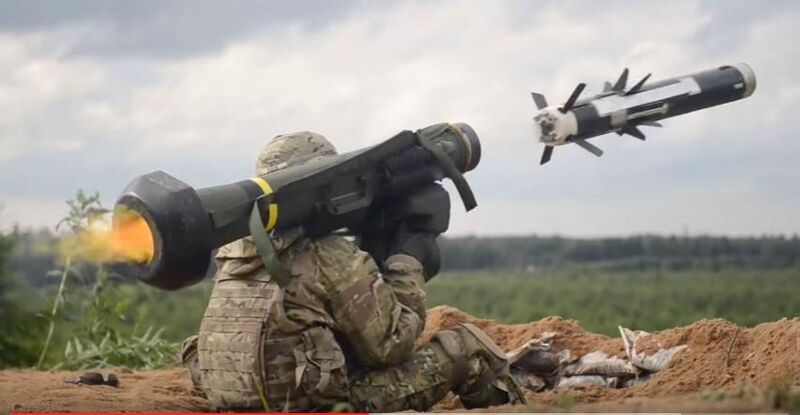 Since 2014, Polandâ€™s state-owned firm Mesko has been developing the Pirat lightweight ATGM system with a range of 2,500 m, with a design based on the Ukrainian KB Luch R-3 Korsar missile. Saabâ€™s new Carl Gustaf, the M4 or M3E1, is roughly 6.5 lbs lighter but is smarter and far more lethal than its predecessor, according to Jack Seymour, the marketing director for Saab North America. With the new Carl Gustaf M4, â€œyou donâ€™t have a two-dimensional target,â€� he added. 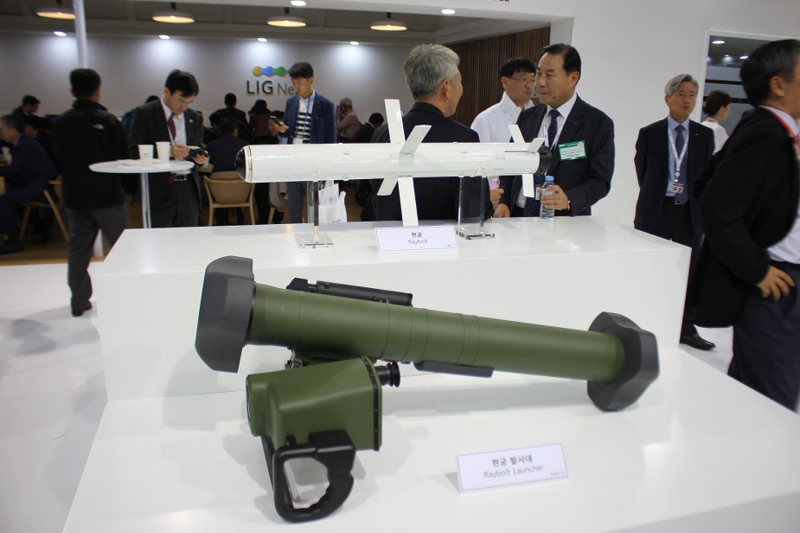 At ADEX 2017, the International Aerospace & Defense Exhibition currently held in Seoul, South Korea, local company LIG Nex1 is showcasing its Raybolt man-portable anti-tank guided missile (ATGM) system. The Raybolt is a portable 3rd generation anti-tank missile for infantry units. Combined with the latest technology in Korea, the missile boasts highly sensitive seeker and enhance penetration capability. The Raybolt can identify and engage a target using its image Infrared Seeker. The missile can operate in two different mode including direct attack and top attack where missile target's the upper part of an armored vehicle. Unlike other conventional missiles where the operators were required to aim at the target to guide the missile, the Raybolt employs fire and forget function. After launch, the operator can move to other locations immediately. Such feature increases the survivability of an operator. Also, the missile is smokeless where it is possible to launch the missile from inside a building. A company representative explained to Army Recognition during ADEX 2017 that the Raybolt is lighter and with more penetration power than rival systems. The missile can also be fired from vehicles. South Koreaâ€™s Defense Acquisition Program Administration (DAPA) ordered the start of serial production of the Raybolt in June this year. 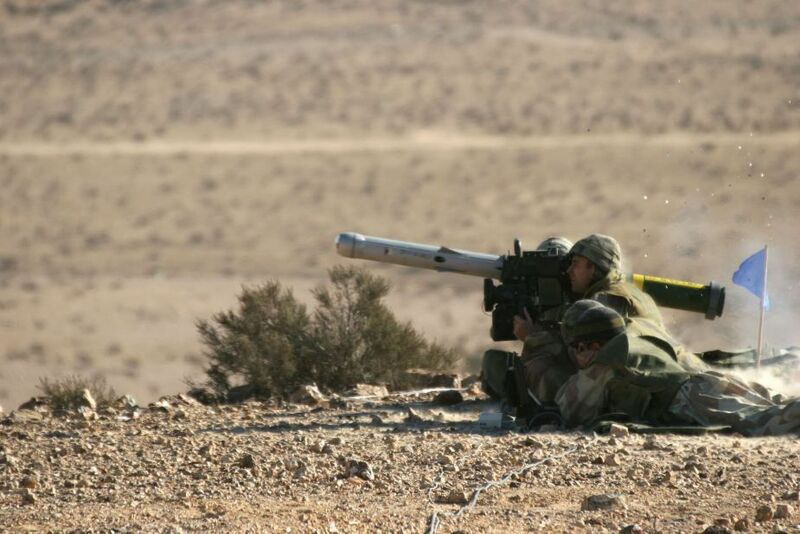 The IDF is a long-time operational user of the SPIKE Missile Family, and the addition of the SPIKE LR 2 will enhance both its infantry engagement range and its lethality against a large variety of targets. The SPIKE LR 2â€™s connectivity through the IDF's network of sensors and effectors will enhance overall force capabilities. The IDF's LR 2 procurement complement the IDFâ€™s fielding of the Integrated Control Launch Unit (ICLU), the new digital networked launchers that provide improved tactical connectivity for third party target allocation. This substantial production order of SPIKE LR 2 for the IDF will kick-start the SPIKE LR 2 Missile production earlier than expected. The development of SPIKE LR 2 leverages decades of successful operational use of all variants across the SPIKE Family. The production order ensures the IDF and future customers will be assured technical maturity, low risk and readiness for operation, synonymous with Rafaelâ€™s standard of quality. 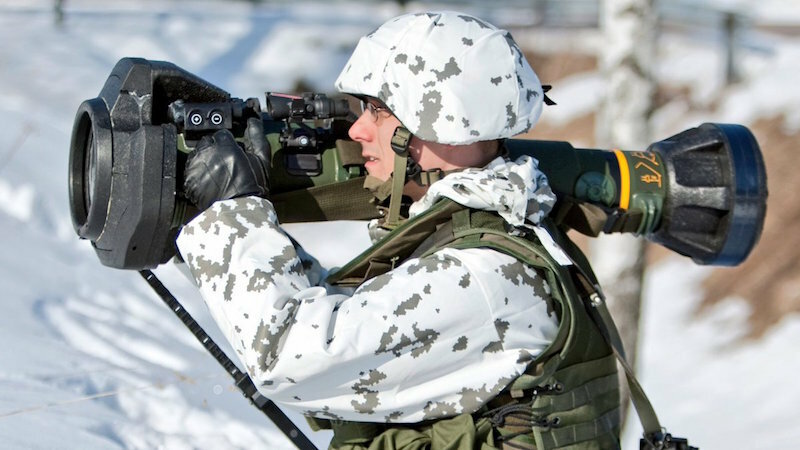 Defence and security company Saab has received an order from the Finnish Defence Forces for the Next-generation Light Anti-Tank Weapon system (NLAW). Deliveries will take place during 2017.
â€œThere is a long-lasting commercial relationship between Saab and the Finnish Defence Forces. This call-up of an option from the 2015 contract demonstrates high trust and confidence from the Finnish Defence Forces towards the NLAW systemâ€�, says Anders Gardberg, head of Saab in Finland. India's defence ministry has scrapped a $500 million deal with Israeli guided weapons specialist Rafael, instead asking its Defence Research and Development Organisation to provide an indigenous alternative. Rafael had been teamed with local company Kalyani Strategic Systems to supply Spike series missiles for use by India's land forces, including helicopter-launched examples. The Israeli company's air-launched portfolio includes the Spike ER, with an effective range of up to 4.3nm (8km), and the 5.4nm-capable Spike LR2, which is optimised for use against vehicles equipped with active armour. Indian sources indicate that New Delhi's decision stems from a desire to create a local weapon to meet the army's requirements, rather than import an existing product. Rafael says it has yet to receive any official confirmation that the programme has been abandoned. It adds that it has "proven that our missiles are the best solution for the Indian defence forces", and "transferred the needed knowledge to our Indian partner". The U.S. plans to transfer hundreds of Javelin anti-tank missiles from the U.S. Army stockpile to the government of Georgia in Eastern Europe. The State Department notified Congress it has approved a potential $75 million sale of more than 410 Javelin missiles made by Lockheed Martin Corp., the worldâ€™s largest defense contractor, and Raytheon Co., the worldâ€™s biggest missile-maker, according to a statement Monday from the Pentagonâ€™s Defense Security Cooperation Agency. The sale calls for 410 Javelin missiles; 72 Javelin command launch units with spares; 10 basic skills trainers; and up to 70 simulated rounds; as well as U.S. government and contractor technical assistance, transportation and other related elements of logistics and program support. The Javelin is a portable, anti-tank system developed for the U.S. Army and Marine Corps, according to the Military.com equipment guide. Highly lethal against tanks with conventional and reactive armor, the weapon provides a medium anti-tank capability to infantry soldiers, scouts and combat engineers, the guide states. The Army requested funding to buy another 794 of the shoulder-fired munition in fiscal 2018, though the service identified a shortfall of 373, so lawmakers in Congress agreed to purchase a total of 1,167 for the fiscal year that began Oct. 1, according to information released by the House Armed Services Committee. The service earlier this year experimented with outfitting a Stryker combat vehicle with the Javelin, as well as a 30mm cannon. After the Soviet Union broke up in 1991, the U.S. recognized the independence of Georgia, according to a 2014 report from the Congressional Research Service. Georgia went to war with Russia for five days in 2008 over the Russian-backed states South Ossetia and Abkhazia, where thousands of Russian troops remain, according to CRS. In September, Marine Corps Systems Commandâ€™s LAV-AT Modernization program team achieved initial operational capability by completing its first fielding of four upgraded Anti-Tank Weapon Systems to 1st Light Armored Reconnaissance Battalion Marines at Camp Pendleton, California. The LAV-ATM program was established in 2012 to enhance the reliability, availability and maintainability of the vehicleâ€™s turret system. The teamâ€™s goal was to get a new turret system on the LAV-AT platform that was easy to maintain, reliable and effective, said Jim Forkin, Program Managerâ€™s Office LAV-ATM team lead. â€œCompared to the legacy version, the new turret is unmanned, it fires both wire-guided and radio frequency TOW missiles, and it can acquire targets while on-the-move with an improved thermal sight,â€� said Forkin. By incorporating a blended training solution, all four existing Tactical Turret Trainers are upgraded with the ATWS and a 3D Diagnostic Turret Trainer, or DTT, is added. The DTT consists of two classrooms with eight student stations and one instructor station each. The Corpsâ€™ 3D DTT maintenance training system is unique to the ATWS and will be fielded in November. â€œUsing the 3D DTT, students will interactively conduct troubleshooting and remove and replace ATWS components in a simulated environment, which will be followed by training on actual hardware on the Tactical Turret Trainer and vehicles,â€� said Paul Kopjoe, Logistics Management specialist, PM LAV team at Program Managerâ€™s Office LAV. The Indian government has yet to inform Rafael Advanced Defense Systems about its reported decision to cancel a USD1 billion contract to procure Spike anti-tank guided weapon (ATGW) systems for the Indian Army, the Israeli company has confirmed to Janeâ€™s . 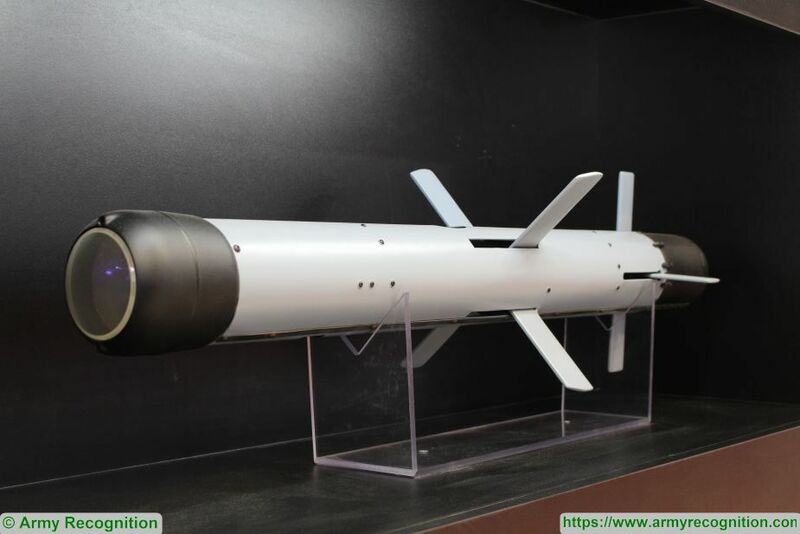 A spokesperson for Rafael said on 27 November, â€œRafael has not been officially informed of any change in the decision to purchase Spike missiles.â€� The spokesperson added that plans to support Indiaâ€™s procurement of the Spike through a joint venture (JV) established by Rafael and its Indian partner Kalyani Strategic Systems Limited (KSSL) would â€œcontinue as plannedâ€�. Citing officials from Indiaâ€™s Ministry of Defence (MoD) and Indian Army, Janeâ€™s reported on 20 November that the MoD had terminated the Spike procurement in favour of a programme to develop ATGWs indigenously. According a statement released by the DICOD (French Army Press Services) on November 29, 2017, the French army has take delivery of a first batch of 12 firing posts and 50 missiles MMP (Missile Moyenne PortÃ©e â€“ Medium-Range Missile). The MMP includes a fifth generation of surface-to-surface missile using fire-and-forget technology. The program development of the MMP (Missile Moyenne PortÃ©e â€“ Medium-Range Missile) was started by the International Defense Company MBDA in collaboration with French Company SAGEM. The MMP is the latest and fifth generation land combat missile system designed for dismounted infantry as well as for integration on combat vehicles. Initially intended for dismounted troops, MMP will replace the Milan and Javelin anti-tank missiles in service with the French Army since 1974. The MMP has been ordered by France for its infantry and combat reconnaissance vehicles (Scorpion program). It will be fitted onto the French armyâ€™s new Jaguar combat vehicles along with Safran Electronics & Defenseâ€™s PASEO advanced sighting systems. The firing post and the missile, both being equipped with capabilities including location, orientation and digital communication, enables MMP to engage Non-Line-Of-Sight (NLOS) targets equally as well as those in direct line of sight, and, if required, under the permanent control of the operator and the commander.